I told you I was becoming a bit shoddy with my week in review posts in my very last week in review post of last year and look at this… January's monthly review at the end of March 😁. I'll get better at this, promise. 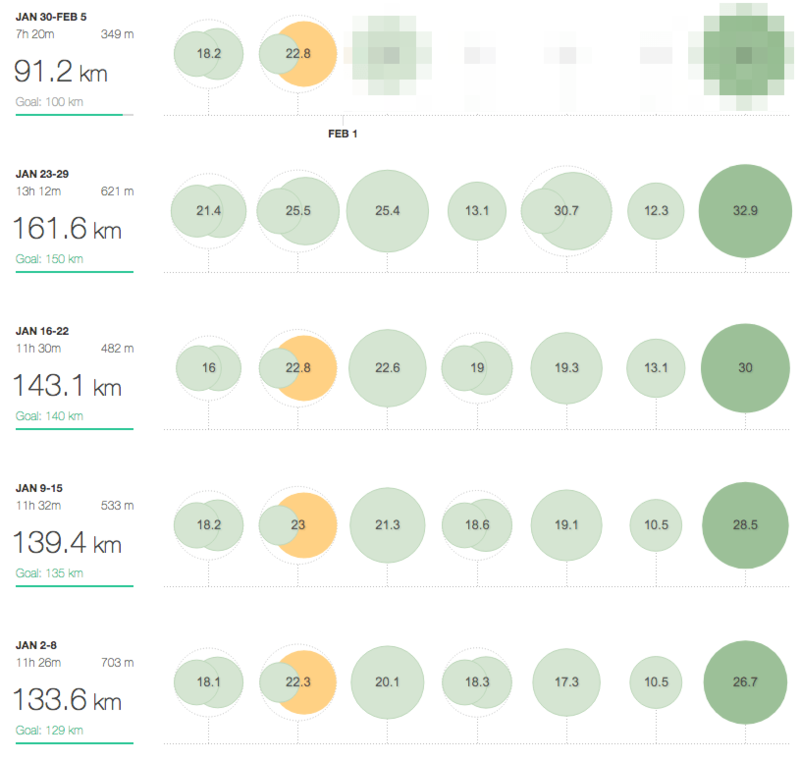 So what happened in my running world in January then? LOTS!! !… of kilometres. As I mentioned in my 2016 in Summary post, I'm using a slightly modified and extended version of the 18 week Pfitzinger 85+ miles per week programme from the Advanced Marathoning book to prepare me for the Comrades marathon. I've extended it to 22 weeks starting on 2 January by repeating the first four weeks of the programme. This was primarily to allow me to take advantage of the new year enthusiasm to get running but also to ensure I have a huge base before getting into any racing and hard training. This huge base would also ensure I would be in good shape for my first race of the year, the Wokingham half marathon. Training went really well and I found I adapted to this significantly higher volume really well. I put that down to the fact that my most significant modification involves running most of the mileage within or below my MAF range of 144-149 BPM. I don't find running at or below MAF particularly taxing on my body which has meant I can run further and more often without too much strain. Talking of MAF, I've not adjusted my MAF range again this year. I don't think shifting the range down by one is going to make much difference and I've had a suspicion for a while that my MAF range may be too low anyway. The biggest clue to this is the fact I don't find it very taxing as I've just mentioned. I may experiment with adding 5-10 beats to the range at some time in the future and see what happens. Anyway, all this mileage led me to two major milestones: I clocked up my first ever 100 mile week and my biggest training month ever at a whopping 619km!! !